1. A cheeseboard that collapses when the party’s over. A tier of joy: This triangular cheese board fans out into a four-level serving wheel — the bottom section even tucks away the knives. 2. 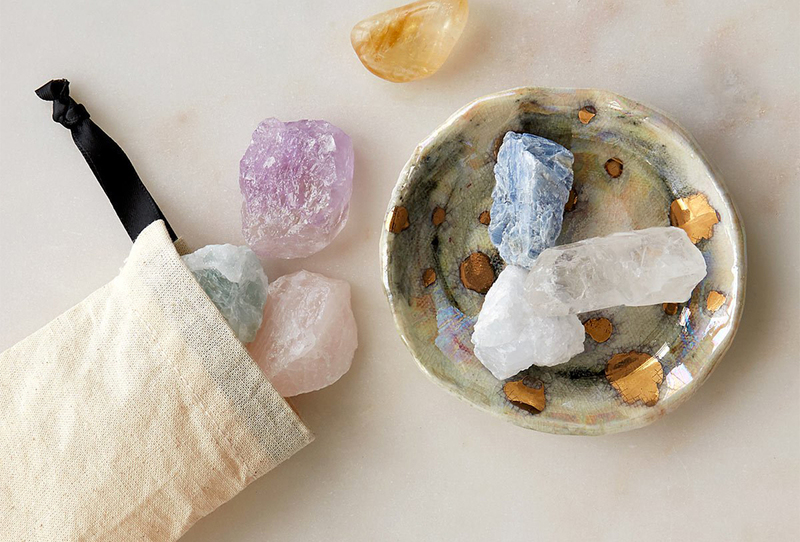 The ideal party guests: multi-talented coasters. 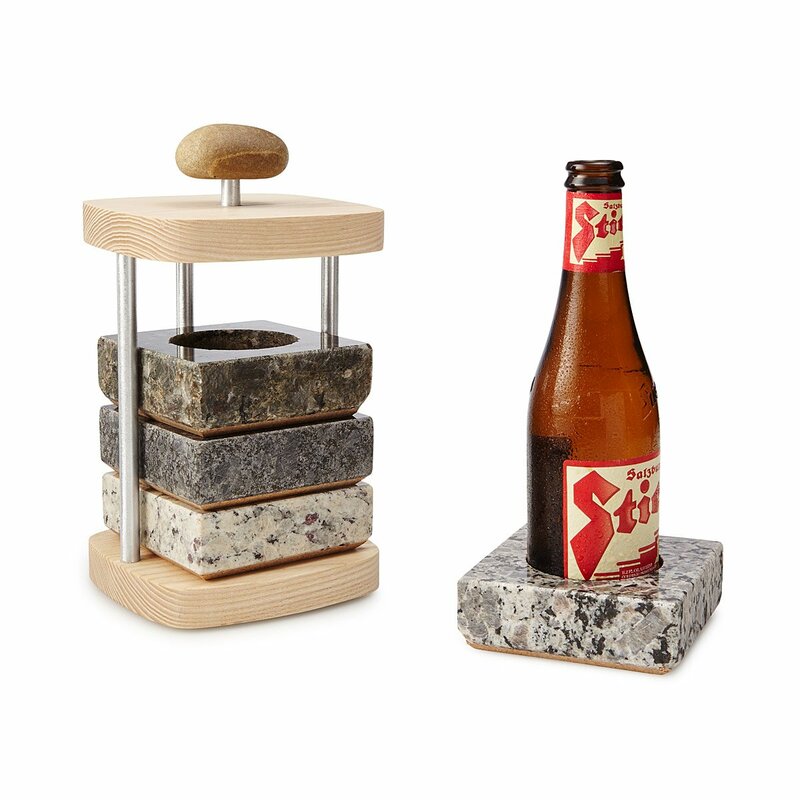 Set the tone for a chill evening: After they emerge from the fridge or freezer, this set of stone coasters will keep everything cool. 3. A solve for cold bread. Break bread with the extended fam, better. 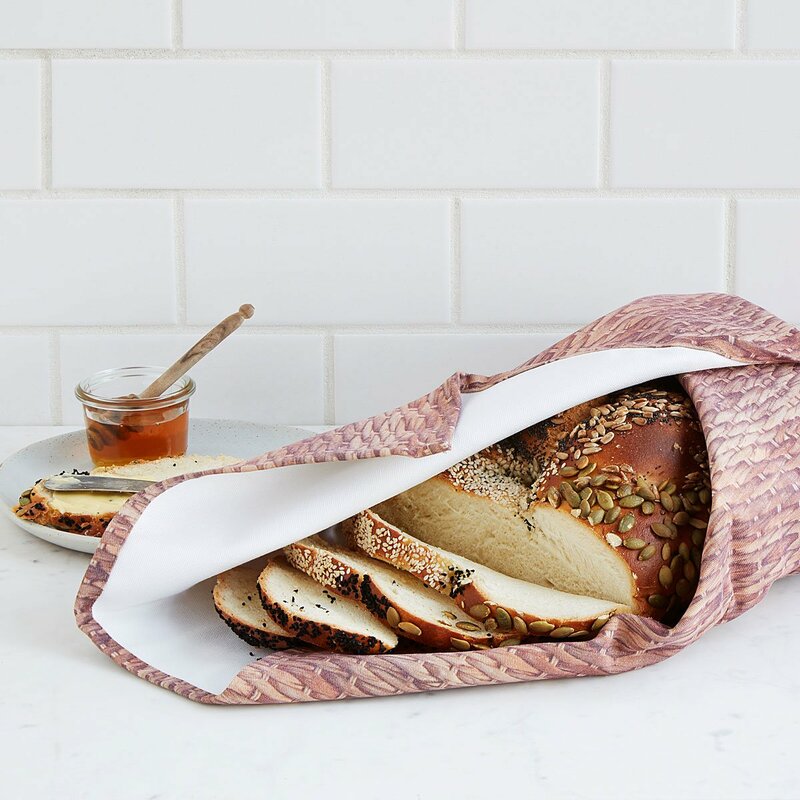 A beautiful warming cloth will keep a fresh-from-the-oven loaf toasty all meal long. 4. A token that’ll put you on their map. 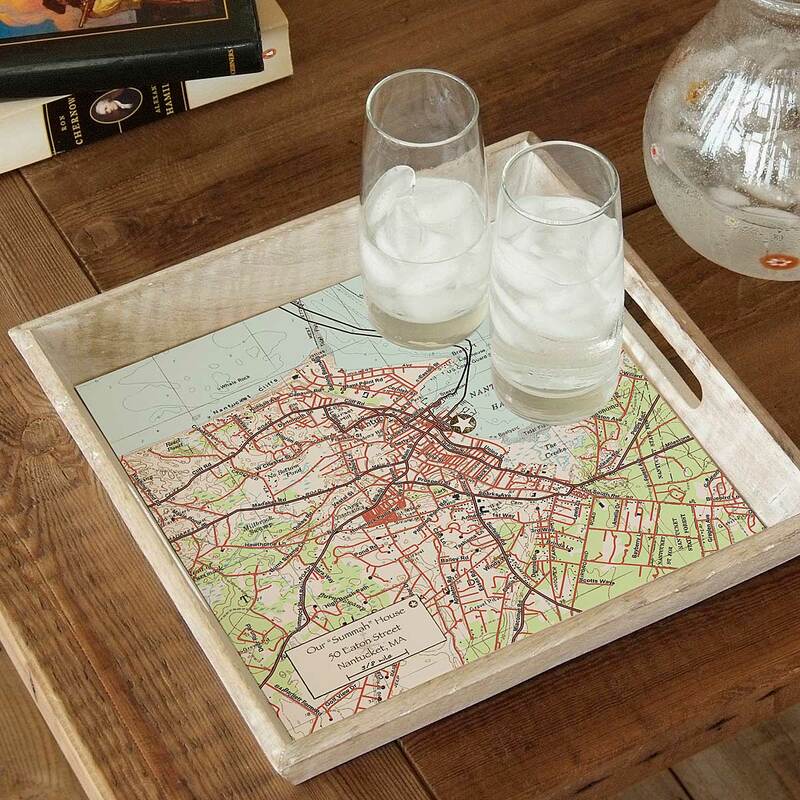 Choose a meaningful place for your hosts—their hometown, favorite vacation spot, or the site of your wedding to their pride and joy—and sit back as they serve refreshments and show off your gift. 5. An impressive use of their #tbt photos. 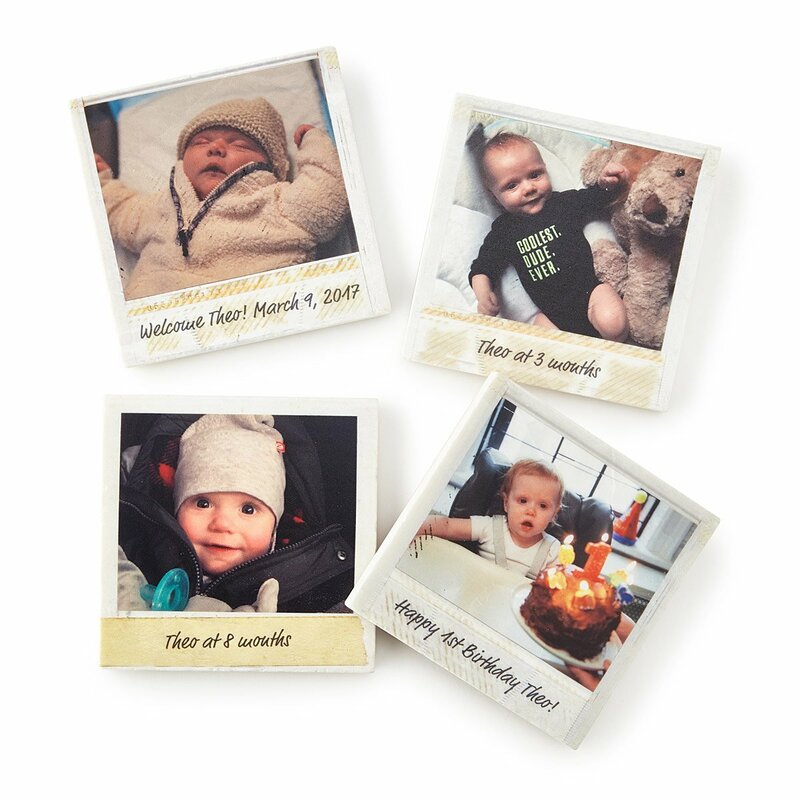 A picture is worth a thousand words — or, in the case of this customizable marble coaster set, a thousand thank yous. 6. An elegant solution for discarded shells. Picking out the perfect gift for your potential future in-laws isn’t that hard a nut to crack — not with a handcrafted wooden pedestal that holds pistachios and their discarded shells in style. 7. 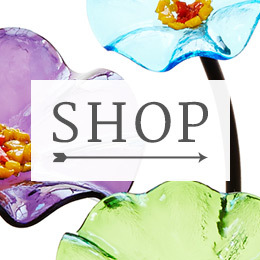 Bowls that offer an artful way to an entertainer’s heart. Good hosting is an art form. Theirs will be taken up a notch with the help of an hors d’oeuvres platter that recalls a painter’s palette. 8. 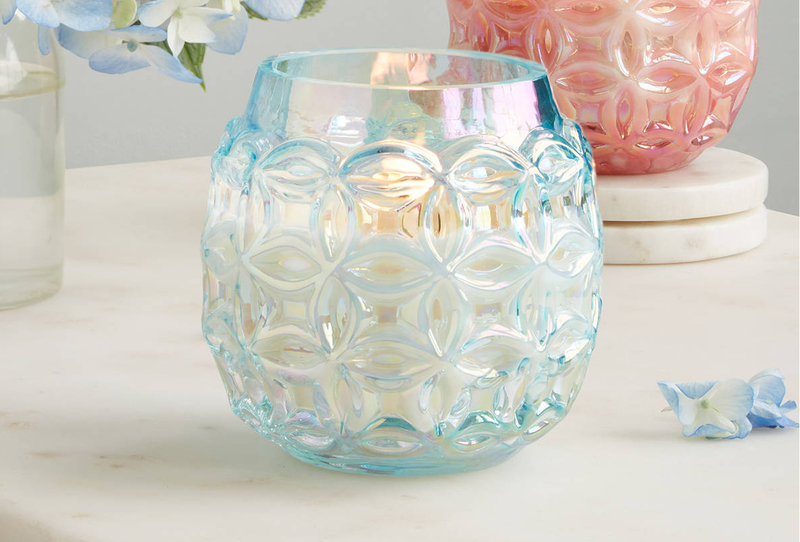 Enchanting glasses that decant vino. Good cheer(s), indeed! 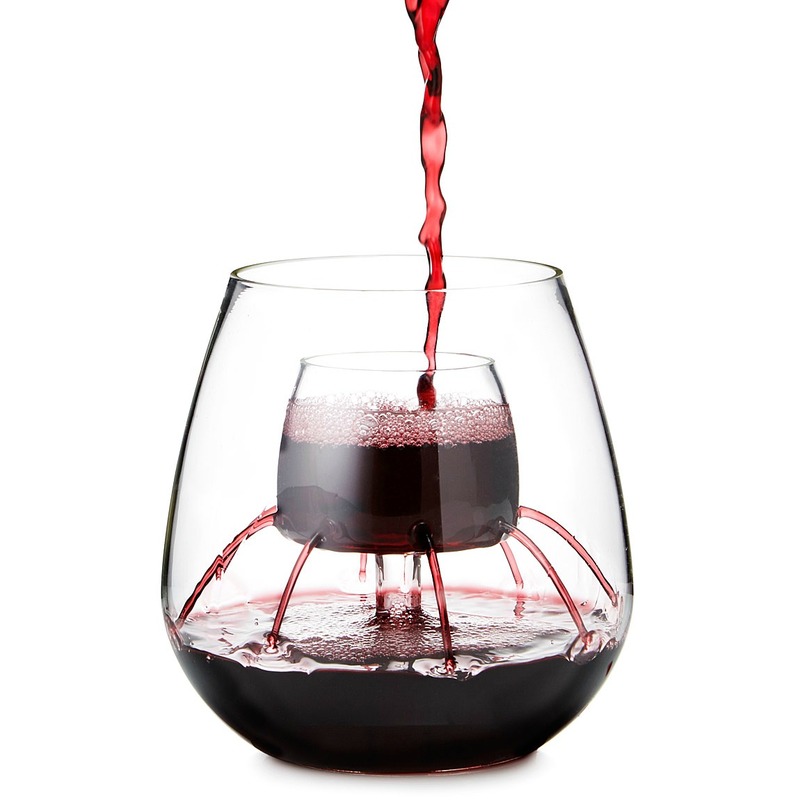 Show them how clever you are with a set of wine glasses that eliminate the need for a decanter. 9. A candle they’ll burn for months to come. 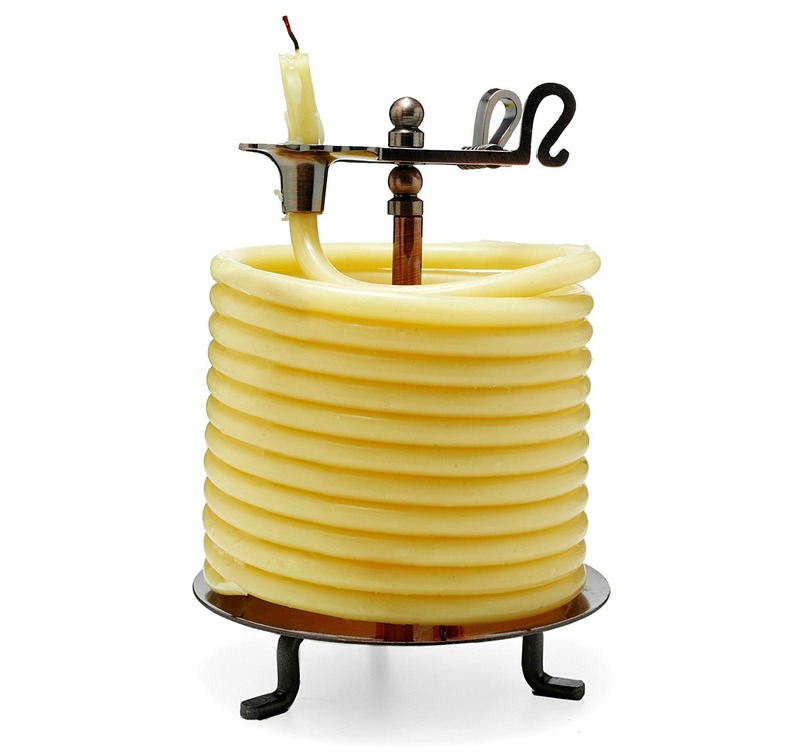 Let the smart design of a long-burning candle light the way to a joyous season — and beyond! 10. A sleek bedside accessory that’s both beauty and brains. Guest-room game, strong! 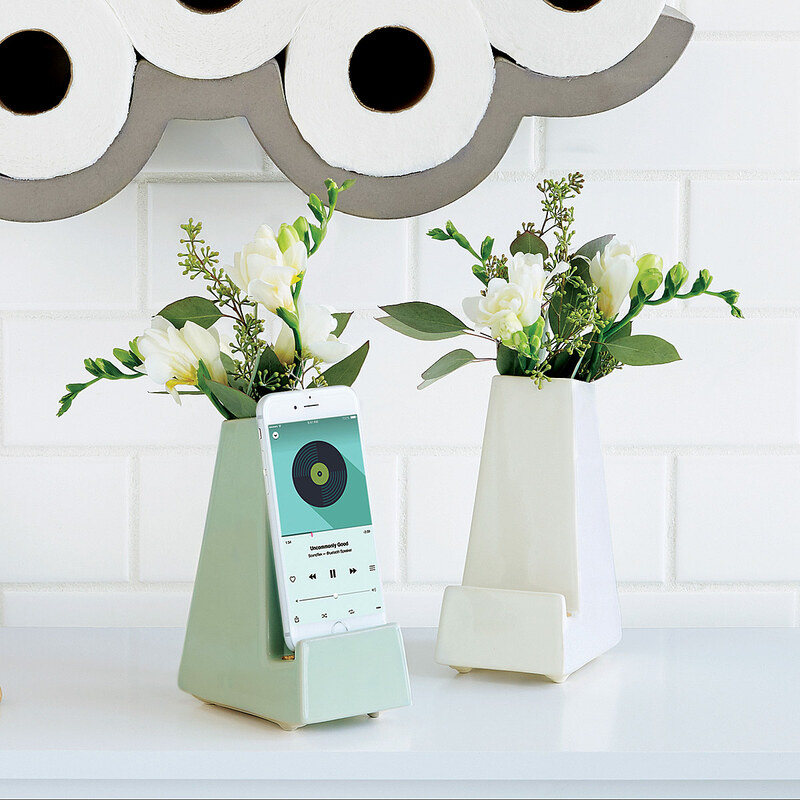 As long as your host wishes to place this bud vase designed to hold a smartphone in their spare room, giver and receiver both benefit. 11. 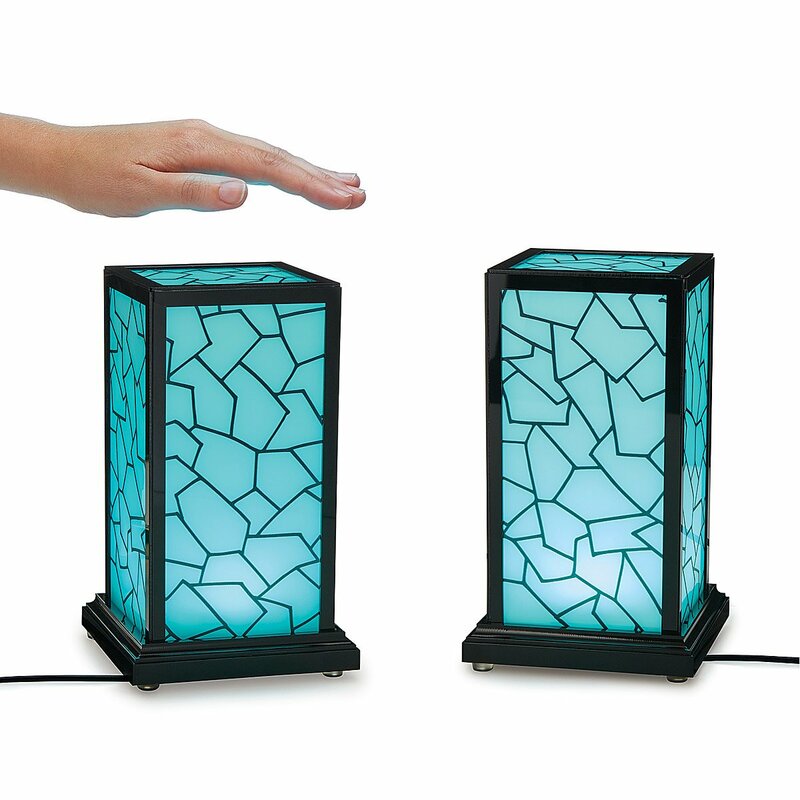 A touching lamp that sends virtual hugs. While long distance phone calls are always welcome, a long distance, Wi-Fi -connected lamp set will help you signal your love with a simple, illuminating tap. 12. 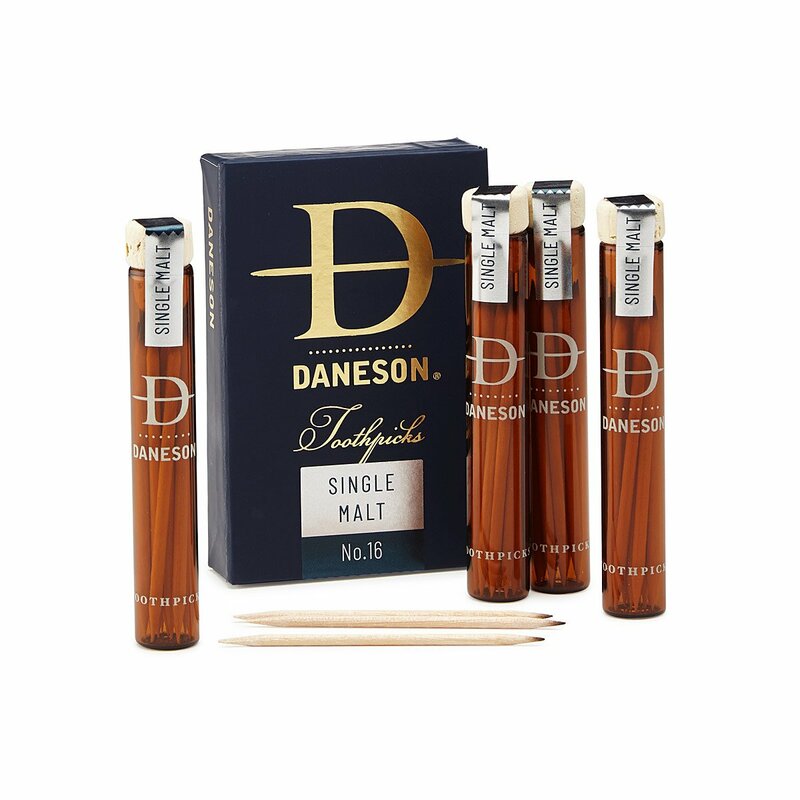 Toothpicks that appreciate the finer things in life. 13. Global treats for their local table. 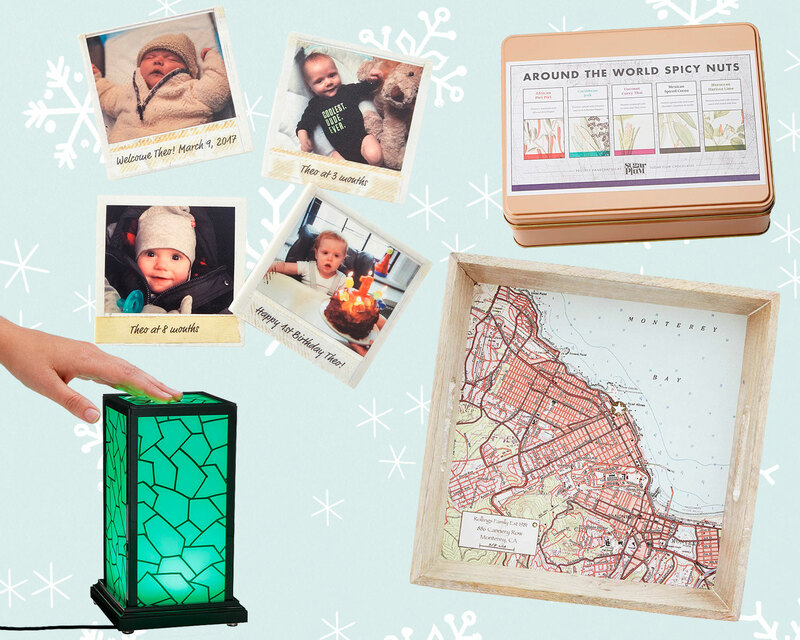 Take them on a tour of the globe without leaving the living room. 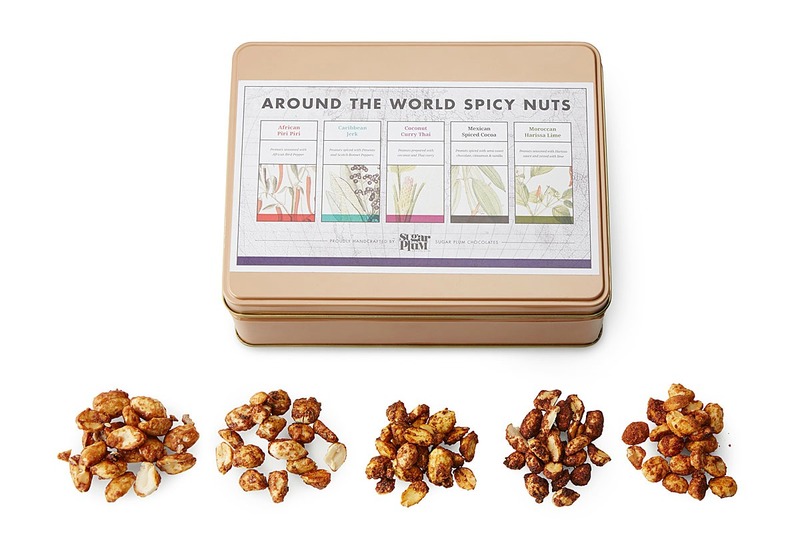 A set of nuts with spices from the Caribbean, Thailand, Morocco and more shows you appreciate their worldly tastes. 14. Everything they need for a night in. It’s hard to be more thoughtful than this. 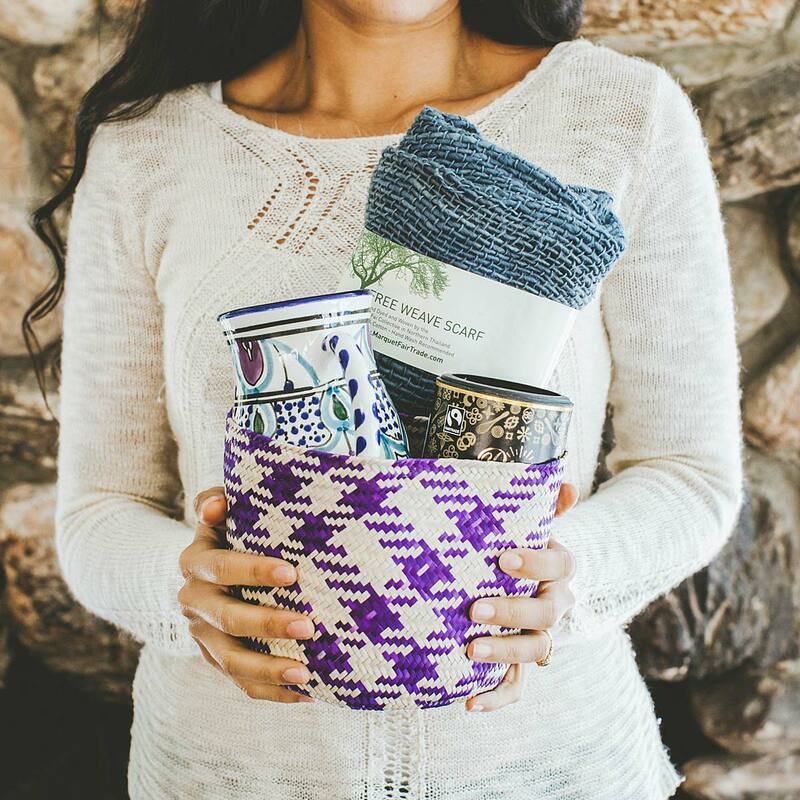 A basket of goods handmade by artisans across the globe will help your giftees relax into winter. 15. Fresh ingredients for future pasta bowls. 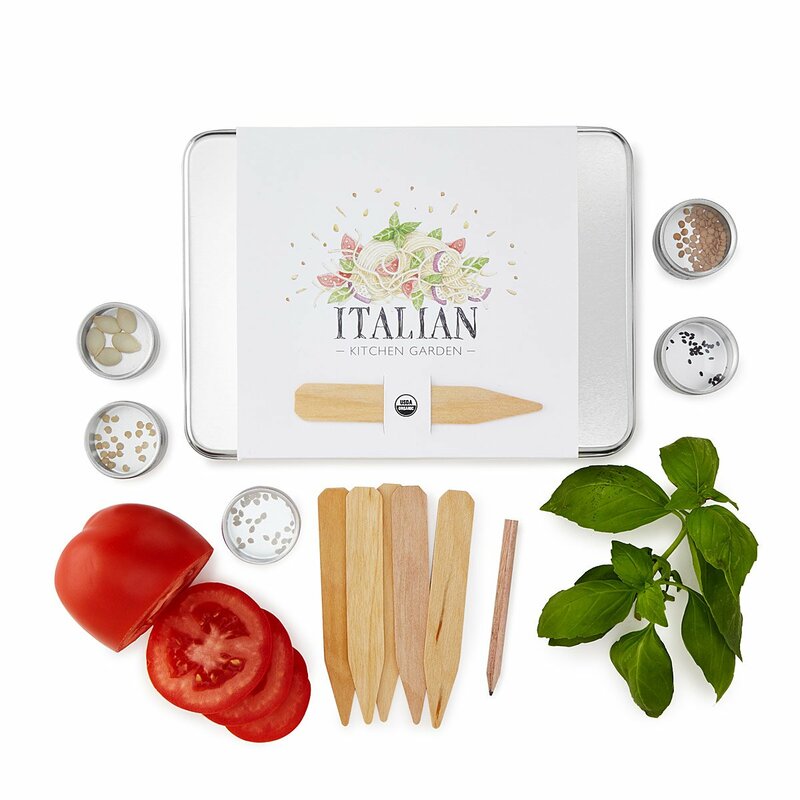 Plant the seeds of holiday dinners to come with a kit that results in the basics you need to whip up Italian cuisine. 16. 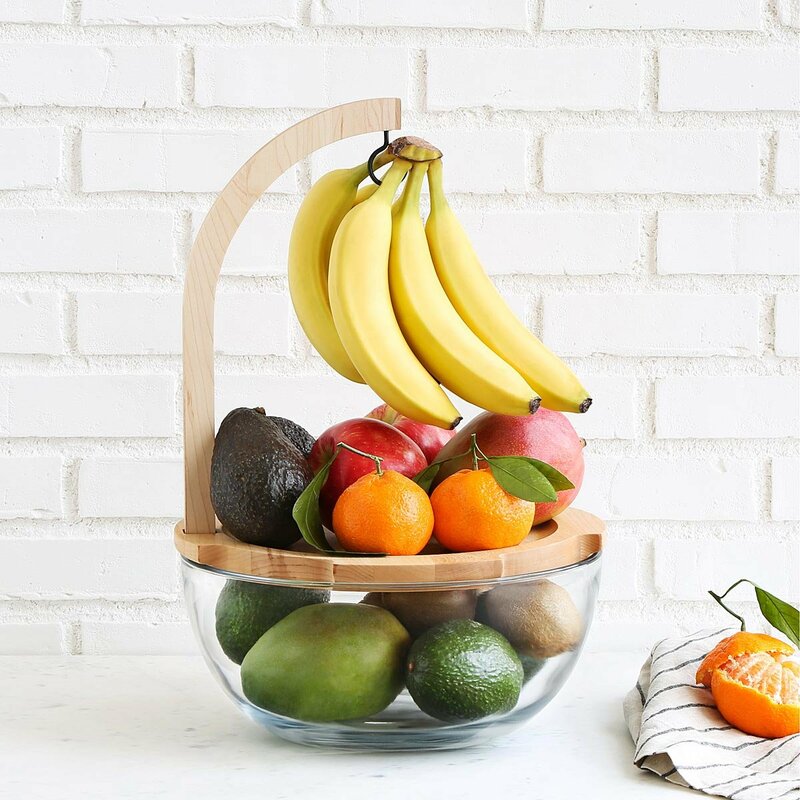 A clever bowl that organizes fruit by ripeness. 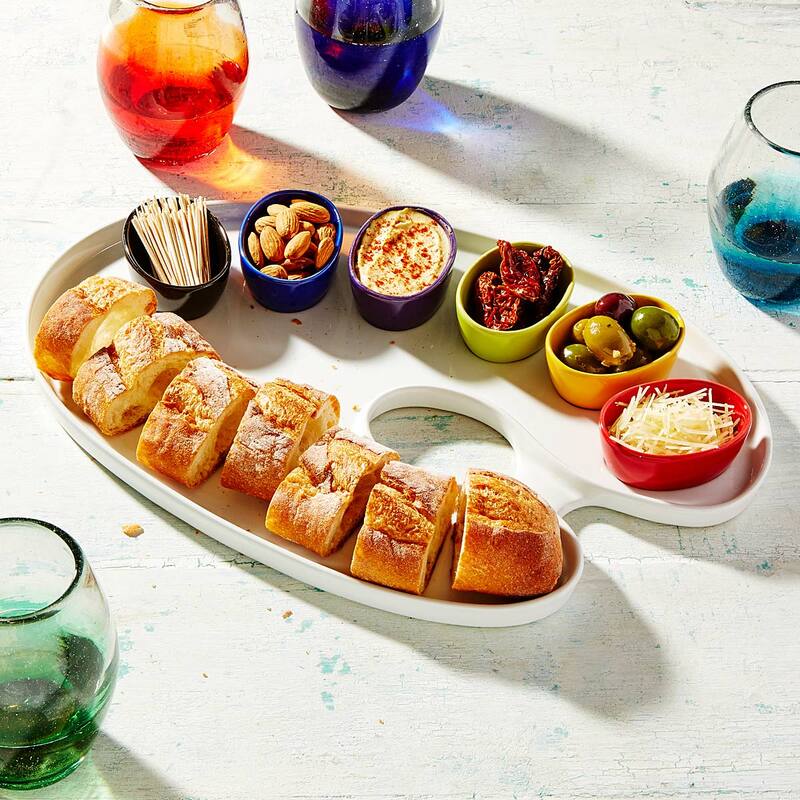 This maple and glass set displays the fruit that’s ready to eat and helps the harder goods ripen. 17. A sweet activity that’ll bring you all together. 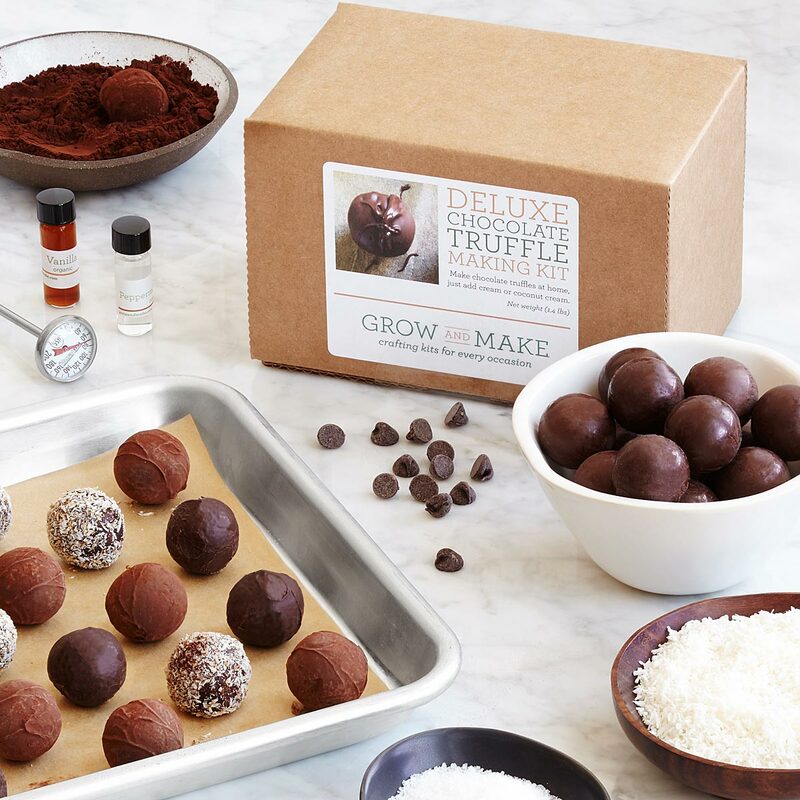 The adult children and parents that truffle together, stay together. Enjoy quality time that produces an even higher quality product.